TIP: Elif statement check first condition, if it is TRUE then it will execute the statements present in that block. If condition is FALSE, it will check the Next one (Elif condition) and so on. 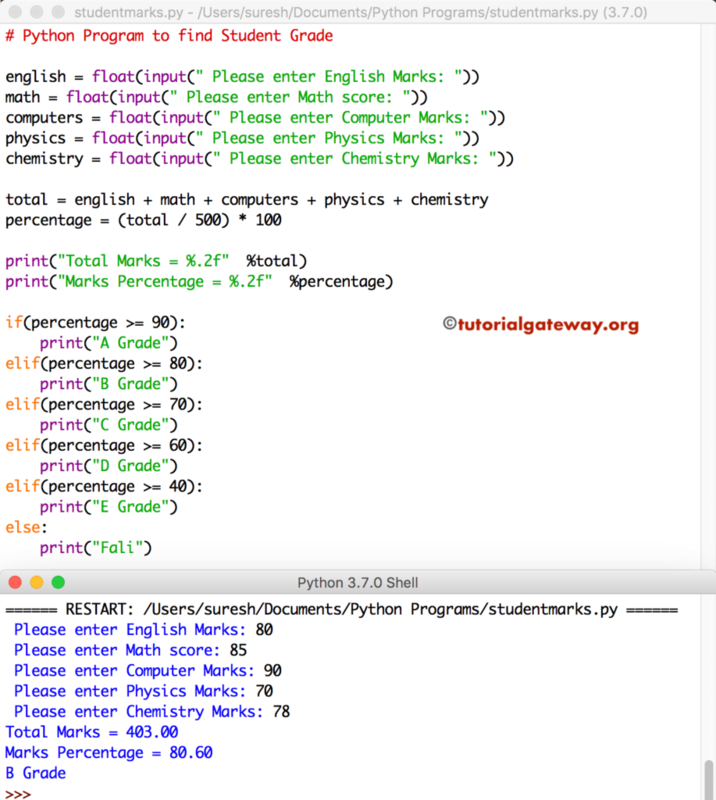 This python program allows user to enter five different values for five subjects. Next, it will find the Total, and Percentage of those Five Subjects. For this, we are using the Arithmetic Operators to perform arithmetic operations. In this program we are using Elif statement to find the grade.